Most of the PDF editor software available are either paid suites or have limited feature set. Still, few completely free PDF editors are there without locked down feature. PDF Shaper is one such PDF editor and is completely free for personal use. Though other versions are available, still the basic personal use version have all the feature set. Also, the LibreOffice Draw and Inkscape can also be used as PDF editor. Both are not intended for PDF editing but still support all type of PDF files and you can use them as a PDF editor. Both are free and open source projects. 1. PDF Shaper: Features packed PDF editor completely free for personal use. 3. 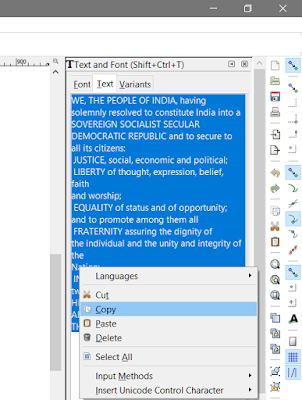 How to use Inkscape to edit graphics and text in PDF Files. PDF Shaper is a clean, easy to use and most comprehensive PDF editing tool. Features like converting an image to PDF or PDF to image, PDF to RTF, split and join the files and pages and encrypt the PDF. If you want to secure the file. PDF Shaper is freeware for Windows. The interface is straightforward and the text and image extraction works exactly the same way, you expected. If you want All-In-One freeware for Windows can convert the PDF to MS Word, extract text and images, merge, split and password protect the PDF, the PDF Shaper is the software you need. Just select the file you want to get the text from and the pain text will be ready in the pop-up box. You can copy the text for using it anywhere. If you want the layout to be preserved, tick the option. 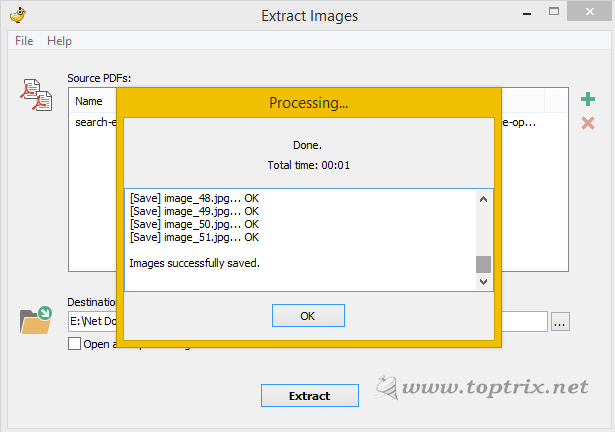 If you want to extract the images used in the PDF, you can extract all the images in its original form without any quality downgrade. You can add multiple files to process and select the destination folder where you want images to be extracted. To add multiple files to process row, click on the '+' button and to delete any file from the row, click the 'x' button. This feature converts the PDF into images. Every page in the file is one image and you get all the images in one folder. PDF to Images is different than the 'Extract Images' feature as it is just a photo of every page along with the text. You can set the image format like JPEG, BMP, PNG, and GIF. Also, set the quality of the image using DPI. The only problem with this feature is, you cannot select custom pages. You have to select a complete file. The other way to get images of only selected pages is to split the file and then convert it into images. 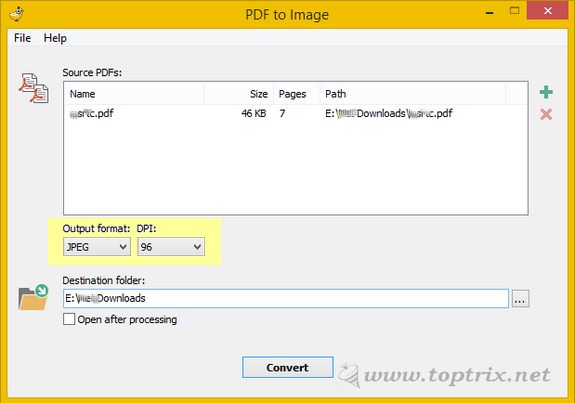 This feature is useful when you want to convert the multiple images into a PDF. If you have scanned many pages of any document, you can create a book using all the scanned images and put them into a single PDF. You can also create a photo album using this feature. This is really a superb feature and works great than any other free software available. The text and image layout is maintained exactly as it is in the original file. The output file is an MS Word file and can be edited as you want. You can delete the unwanted objects from the file. If you want to take a print of the file, without images, this feature will save your pages and ink. 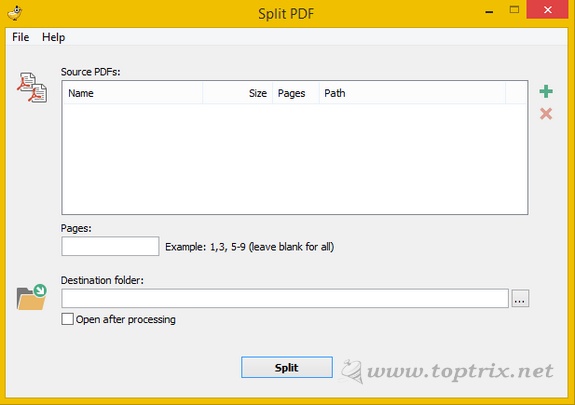 You can either merge multiple PDF into one or convert or split one file into multiple files. You can select the page range as you want to result from PDF. Similarly, add multiple files in the sequence to get a single file. Password protecting a PDF will add more security and privacy to your file and it always recommended if you are sending the file over the internet and the file contains sensitive information. You can either encrypt the file or also decrypt it if you know the password. Libre Office is a free Office suite which along with a Word processor and Spreadsheet also include a free PDF editor. It is more than sufficient for most of the users. Though the Libre office suite is not intended as a PDF editing solution it can handle almost every PDF and support PDF editing as any other standalone PDF editor can. ➤ Annotate PDF. Add colors, lines, arrows, shapes, and anything. 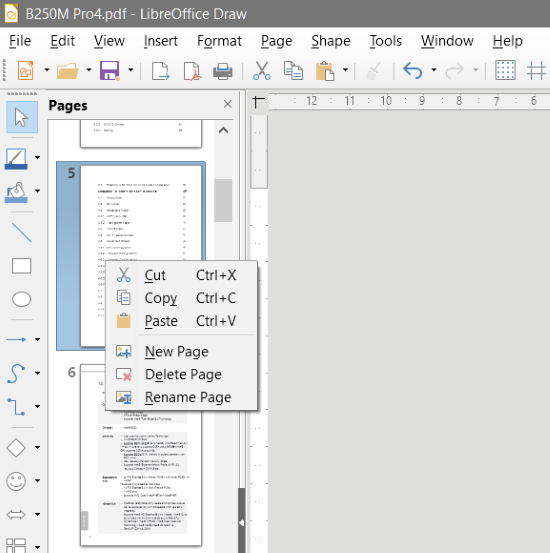 Open a PDF in Libre Office Draw. The left pane will display all the pages. You can add a new page or delete an existing page by right clicking on the particular page. Drag and drop the page you want to move up or down. You can move any shape or text field by the selection arrow. The text can be copied but its difficult and depend on the PDF formatting and structure. Off-course you can create your own new PDF files. Inkscape is an open source, completely free Vector graphics editor. Once again, the Inkscape is not also meant for editing PDF. But still, it fully supports PDF editing. Inkscape allows you to edit a single page. You can drag and rearrange all the objects embedded in PDF. Open the specific page from PDF in Inkscape. Click on the text block so that all the text block you want to extract text from is selected. Right-click on text block and select 'Text and Font' from the context menu. The text and fonts menu will open on the right side. Select the 'Text' tab. Here select the text you want to copy, right-click, select copy and paste it where you want. A strange thing is the keyboard shortcut will not work for copying. 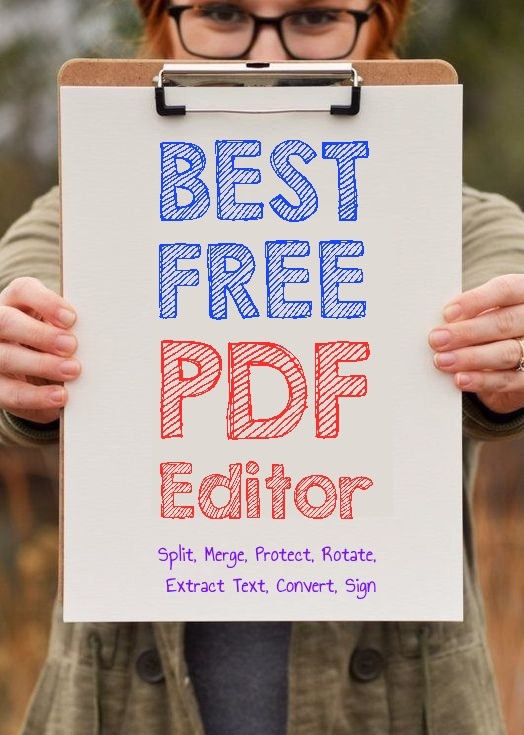 What another free PDF editor you will suggest? Should be free without any locked feature.